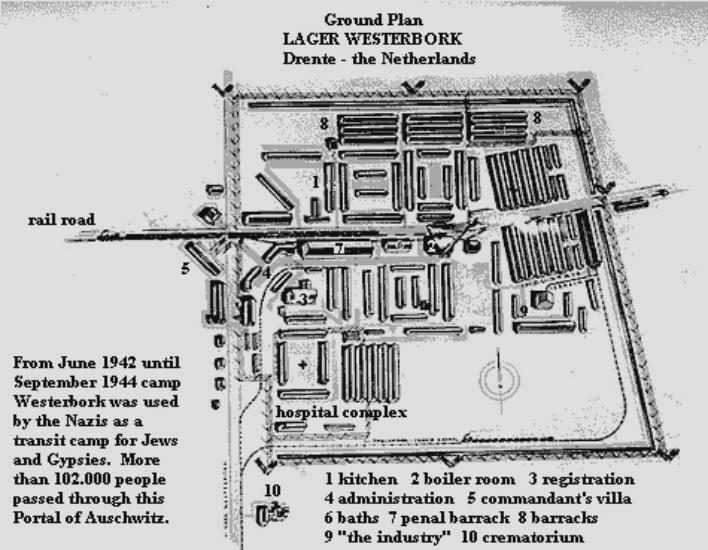 Pictured above is the ground map of the former Durchgangslager - transit camp Westerbork. 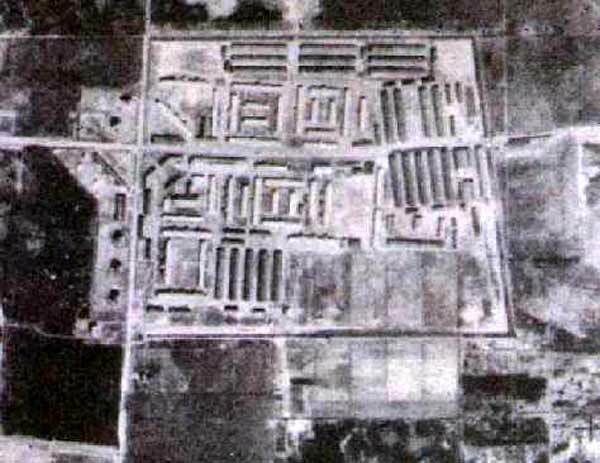 Until June 1942, transit camp Westerbork had been used by the Dutch government as refugee camp for German Jews who had fled Nazi persecution. However, following occupation, two years after having defeated the Dutch Armed Forces, the Nazis changed the status of the camp from refugee camp to that of transit camp Westerbork. The purpose, unknown to the Dutch as well as the Jewish population, was that of deporting Dutch and German Jews, Sinti and Roma to extermination centers in eastern Europe. Deportation of the victims took place between June 1942 and November 1944. Ref. # 16/1912-22MAR45-F20//K63-26,000. Photo Sgt. Peter Maulé, Victoria, BC - Can.